Please tick this checkbox if you 'do not' wish to receive newsletters. Kitchens R Us is a VAT registered business that makes kitchens. Kitchen Kwik buys the kitchens from Kitchens R US and installs them. On 15th January 2014, Kitchen Kwik buys a kitchen from Kitchens R US which costs £2,000. As Kitchens R US are VAT registered, it must charge 20% VAT on top of the sale price. Therefore, they charge Kitchen Kwik £2,400. When Kitchens R US complete their next VAT Return, they will pay the £400 to HMRC. On 20th January, Kitchen Kwik install the bathroom in Mr and Mrs Frost’s house. They charge £3,000 for the work which includes a charge for their labour as well as for the fittings. As they are also VAT registered, they need to charge 20% VAT on top of its charges making the bill for Mr and Mrs Frost £3,600. Kitchen Kwik will need to complete a VAT return later in the year, which will include the £600 of VAT charged to Mr and Mrs Frost, but they will be able to deduct the £400 VAT paid to Kitchens R US. They will only pay £200 of the VAT collected from the Frosts to HMRC; the other £400 was paid by Kitchens R US. Overall, neither company had to bear the cost of any VAT. It’s Mr and Mrs Frost who have had to bear the cost of VAT (£600). The companies have just collected it on behalf of HMRC. 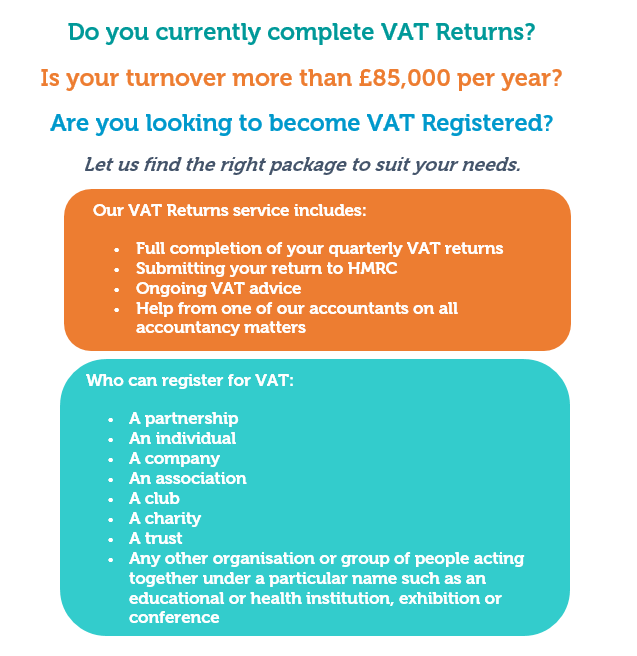 However, it is crucial to remember that VAT is a tax on consumers which is collected by businesses on behalf of HMRC – It is not your money and the penalties for not operating VAT correctly can be severe.